Whilst digging around on my computer I found a couple of other drawings that I had done ages ago. Neither of which have been shared with that many people. 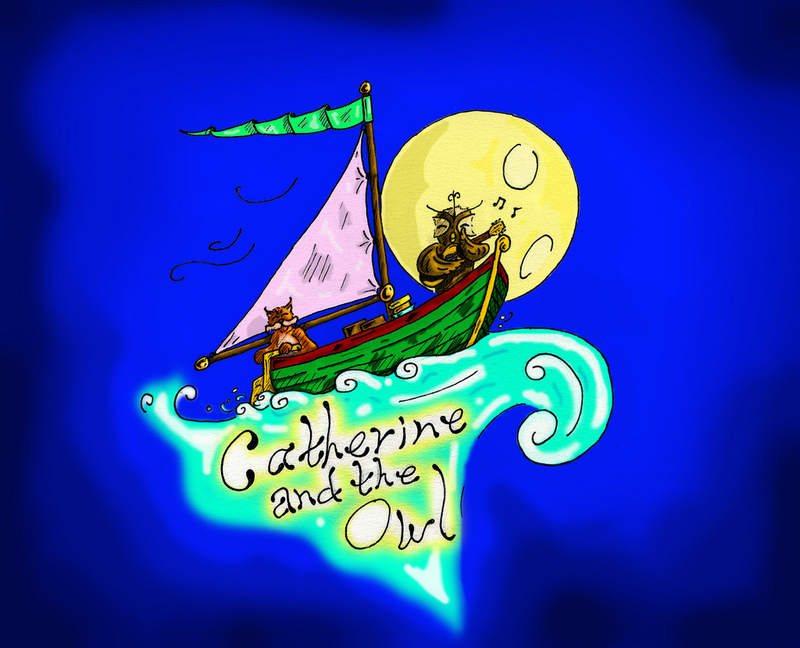 The first is a drawing I did for Catherine And The Owl. I seem to remember doing this for the poster to our first gig. I coloured it in just to see how it would look. Clearly inspired by Edward Lear (though he could draw better). 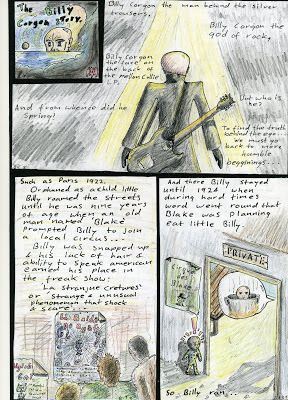 The second Illustration is from some bizarre comic I was drawing called, ‘The Billy Corgon Story’. I can’t quite remember why, but I know it used to annoy my friend Tim when I claimed the back of the Melon Collie album was a picture of Billy’s bald head slipping beneath the clouds. Not sure where I was going with this, but I do know that the story involved Billy getting on a ship bound for WW2 that was captained by the infamous ‘headless Jack’. After three years at sea, Billy discovered ‘Headless Jack’ was in fact a decapitated corpse and that he had been sailing in circles off the coast of Ireland. Well there you are, hope you enjoy.